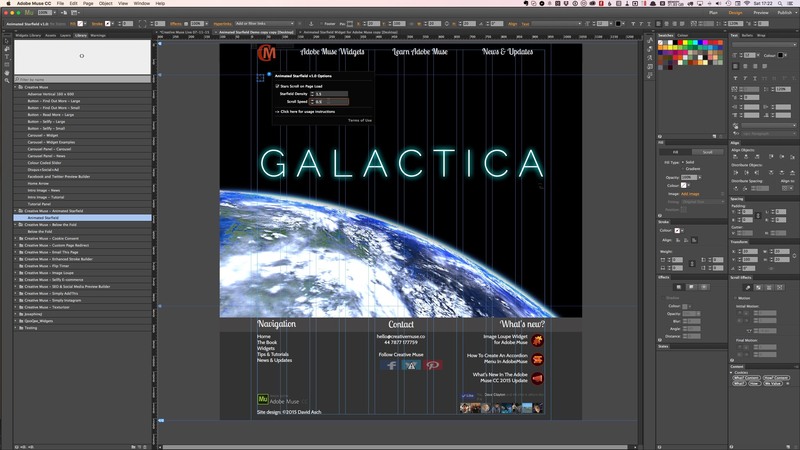 Add an animated starfield background to your Adobe Muse website. This is a fun effect that creates a interactive scrolling starfield as a full screen backdrop that changes direction with the mouse movement. Double-click the Animated Starfield.mulib file to import it into Muse. Alternatively, you can use the Import button in the Library panel within Muse and browse to the file on your hard drive. Choose whether or not to animate the stars when the page loads.